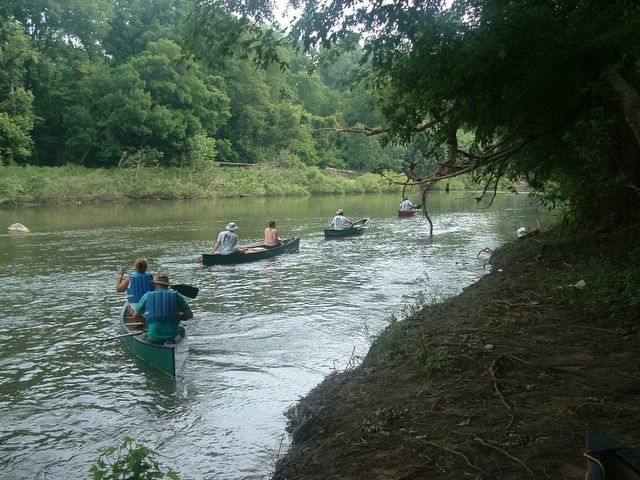 The monthly OHCRA canoe trip for July was around the Fremont, Ohio area. 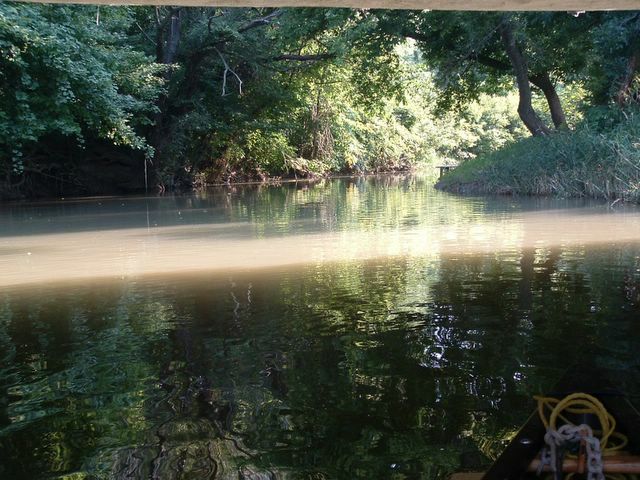 12 miles on the Sandusky River and 6 miles on Green Creek, (3 miles downstream & 3 back up.) 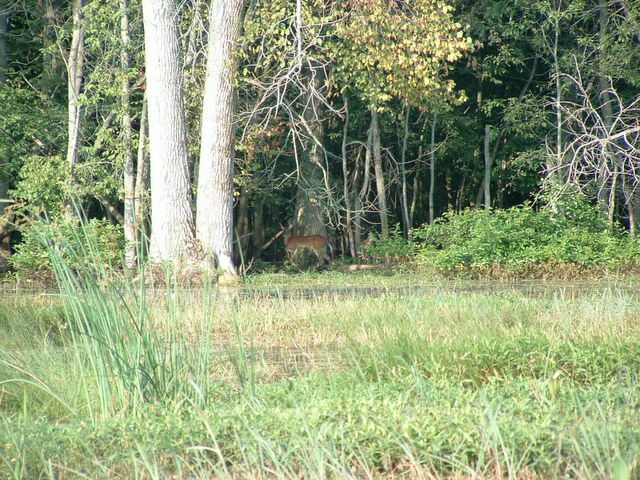 Our base camp was at the Sandusky County managed campground known as Wolf Creek. A real nice campground just off St. Rt. 53 close to the river and with some nicely groomed hiking trails. I arrived around 3:00p.m. and was greeted by trip leader Paul W. Snorin George T. was also there. I sat up my tent and settled in for the weekend. It was a very hot and humid day but I had to crank up the ole Coleman stove and cook wild rice and mushroom soup that was for Saturday evening's potluck. I like cooking ahead of time so all I have to do is reheat the food when it's time to eat. The soup called for a 1/2 cup of wine. After opening a whole bottle just for a 1/2 cup, I couldn't let the rest go to waste. Paul had brought along extra copies of "Around the Bend" the clubs newsletter, from years gone by. When Paul and George went to town to get something to eat, I kicked back and stirred soup, read newsletters and enjoyed a relaxing cold adult beverage. Paul K. drove in around 5:00p.m. For supper I had lamb chops rubbed with Essence of Emeril spice and foil potatoes thrown in the hot coals of a mesmerizing campfire. I made lots of extra to use for breakfast both Saturday and Sunday. Both Paul's, George and myself sat around the campfire until bedtime. 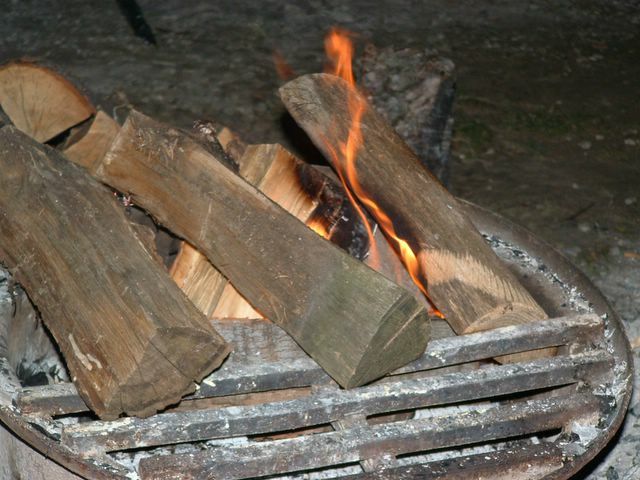 Even with the heat of a hot day, a campfire feels good, especially for the soul. As we were retiring to the tents Jock drove in. While chatting with him, Harold and Laura arrived. Now we are a party of 6. Saturday morning I was up at 6:12a.m. It's just plan hard to sleep in when camping. Had hot tea and reheated lamb chops and potato with egg scrambled in. Hmm Hmm good. Ted and Connie pulled in around 8:45a.m. and we were ready to hit the river. We drove up to the little community of Fort Seneca and launched the canoes. 12 miles and 3 1/2 hours later (including 30 minutes for lunch) we were back at the campground. The launching and landing areas were kind of shallow and rocky while the rest of the river was slow and lazy, real muddy looking and even scummy in spots. I fished a little and caught 2 catfish and 1 smallmouth bass. The afternoon was hot and humid again so we just sat around with cold drinks and socialized. 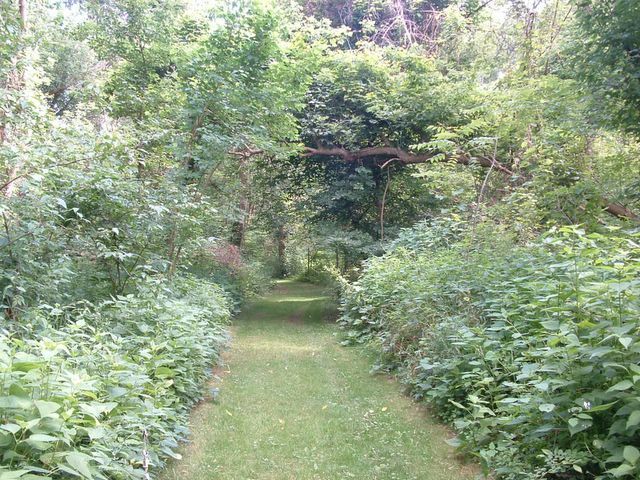 Being the adventurous type that I am, and getting tired of just sitting around, I had to explore the hiking trails. Wolf Creek has a nice trail system, mowed paths and signs explaining the local vegetation. It was nice and cool walking in the woods. At 6:oo it was potluck time. We had wild rice soup, polish sausage and potatoes, hamburger helper, deviled eggs, corn bread, cabbage rolls, apple pie and watermelon. What a feast!! After supper Paul W. gave me a tour of Fremont, his hometown. Unfortunately Ted and Connie had to leave after eating. Later the rest of us sat in front of the campfire and stared into the flames. We could hear a screech owl in the background. Sunday found me again up early. Packed my stuff up, had another lamb chop, potato, egg breakfast and got around to go to Green Creek. Snorin George left soon after waking up and that left 5 of us to make the 10-mile drive to Green Creek. Green Creek flows into Sandusky Bay real close to the Sandusky River. We were hoping to see eagles but they eluded us. We did see lots of white egrets. I tried fishing but atlas, no luck. Green Creek is a real nice tree lined creek. Its' flow is influenced by the bay and the winds off the bay. Paul says there are lots of downed trees further upstream that prevents canoeing much more than the 3 miles we did to the bay. Until next month, keep the shiney side down! !